​Welcome to the penultimate part of guide to my favourite grandstand views at the most popular Grand Prix circuits. This time we’re going to look at the Italian and Singapore Grand Prix, which both take place in September. 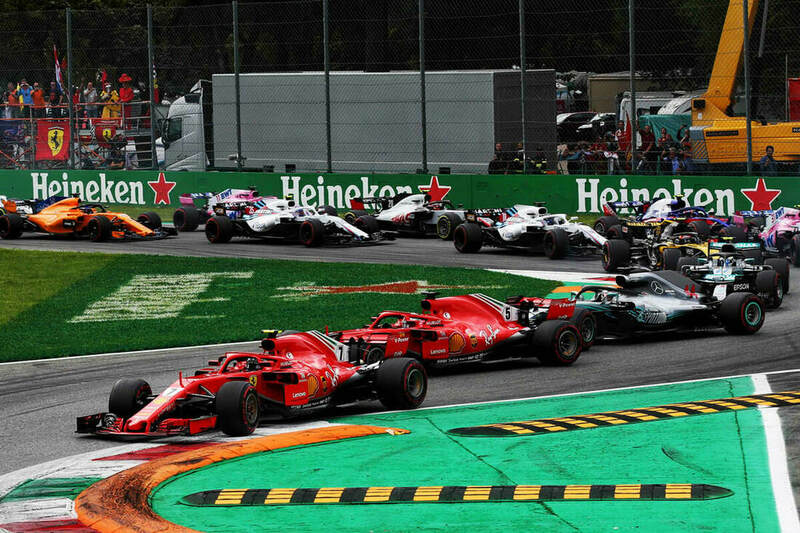 The Italian Grand Prix marks the end of the European F1 season, while Singapore heralds the start of the final stint of races, leading to the season finale in Abu Dhabi. Both Grand Prix are hugely popular with travelling fans. But where will you get the best views and which grandstand will make your trip most memorable? Wherever you sit, there’s a special atmosphere at Monza. The Italian fans turn out in force to support their beloved Ferrari. Adults and children with Ferrari flags are everywhere. But if you want to see the best action, you need the right seat. Just beyond the Turn 1 breaking zone the two Outer First Variant grandstands (positioned on the outside of the circuit) provide impressive views as the cars flick right and then left through this critical section of the circuit. Positions and even Grand Prix have be won and lost here at the low speed chicanes of Turns 1 & 2, as drivers lock wheels and run wide as they push the limits in an attempt to find that precious extra tenth of a second. For some real kerb riding action, you can’t do much better than the Ascari chicane at Monza. Finding the perfect line is important and in recent years the drivers have been expected to take Turns 9 and 10 flat out with the cars drifting out onto the exit kerb before heading down the long back straight. You’ll be spoilt for choice at Ascari, with grandstands positioned on the inside of the track along the full length of the chicane from entry point to exit. Positioned at the end of the start/finish straight, the Turn 1 & Turn 2 Grandstands overlook the Marina Bay Street Circuits first corner braking zone. The Turn 1 Grandstand sits parallel to the start/finish straight and The Turn 2 Grandstand faces down the start/finish straight with some seats having a head-on view of the cars as they hurtle towards the first corner. It’s a medium-speed corner entering into turn one, and at turn two it’s important for the drivers to prepare their line for turn three. This is a prime vantage point perfectly positioned for some first corner wheel to wheel action and late breaking moves. In 2017 fans in these grandstands had an amazing view of the impending chaos as Raikkonen hit Verstappen and then Vettel on the opening lap of the race. The Empress Grandstand is positioned between Turns 11 and 12, just before the drivers enter the vaulted arch of the Anderson Bridge heading toward the Fullerton Hotel. I was particularly impressed with the views from this Grandstand, which gets you really close to the cars as they flick right, then left, riding the kerbs and kissing the wall on the exit of Turn 12.